With tasty food and plenty of nooks to tuck away into with a book or laptop, Chocolati is like a home away from home for writers. Take your pick of a large table and chairs by a window or overstuffed chairs by a little fireplace, with plenty of space and an outlet around just about every corner, it’s easy to nestle in and get to work. You may find several hours have passed before you know it! While most people probably come for the chocolate, it would be a shame to stop there. 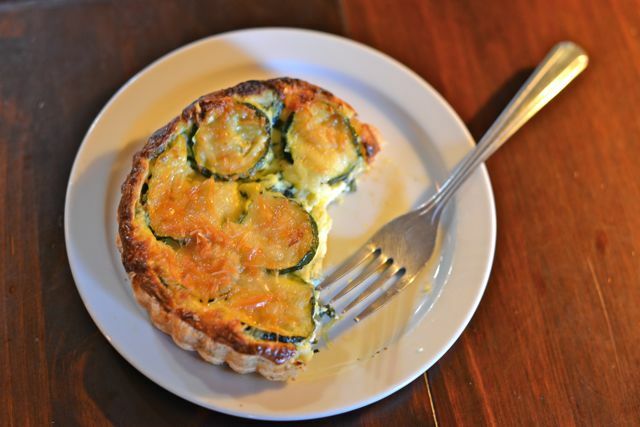 From filled croissants to a delectable zucchini tart, the savory items should not be overlooked. That said, do feel free to order a cayenne hot cocoa or any of a number of artisan truffles. They are, after all, among the items that make this café worthy of its moniker. 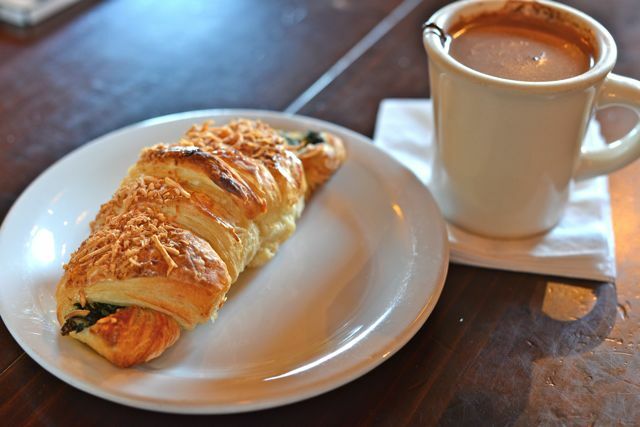 Set on a corner just south of the major intersection of 95th and Greenwood, this café in the heart of North Seattle’s Greenwood neighborhood is easy to get to, and it’s in a neighborhood that’s extremely walkable. Chocolati has an atmosphere of a study group taking place in a friend’s apartment. It’s not uncommon to find small groups meeting for business or students gathering to study, in addition to the lone writer or friends chatting over their warm mugs. This place seems made for writers. Having undergone an expansion in the past few years, Chocolati is like a really big apartment with an open floorplan that’s somewhat segmented. The main room is where you’ll order and perhaps grab a window seat if you’re only sticking around for a few minutes. But keep walking through and you’ll find more seating than you ever would have expected just walking by the storefront. In addition to the usual $3 latte, you can also find a variety of wines for $7 a glass. On the sweet side, truffles run from $1.45 and up and savory treats starting at $6. Between a major neighborhood road and a residential area, you’re bound to find street parking within a block or so. Bring your laptop and a charger and plenty of tip money–you’re going to want to stay here a while. Before coming, make a list of projects to work on, in order of priority, and start writing!